Opening hours: Department stores and large shops are open from about 10am to 8pm Monday to Friday. Saturdays from 10am to 6pm (larger ones until 8pm). Grocery shops often open from 7am. The shops are closed on Sundays. A small selection of food is available in garages, at the central station and also at the airport. 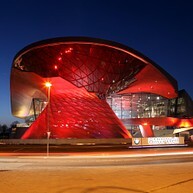 Since it opened in 2007, BMW Welt has become one of Bavaria’s most popular tourist attractions. Over two million visitors flock here every year to experience the wide range of exhibitions, events, the children’s Junior Program and the guided tours. Street art as a form of art of the 21st century is rightly considered as a global celebrated phenomenon, nevertheless street art hasn't arrived enough in the art discourse. The newly build Museum of Urban and Contemporary Art (MUCA) wants t o make a change by enrolling street art into art history and by building a bridge between the international art scene, artists and the public. The idea of MUCA is to bring art and its people together to a place of self-reflection, with the main question of what a visionary museum stands for. In the midst of the creative bustle, a 78 metre high Ferris wheel, the “Hi-Sky München” will await visitors from April 2019. 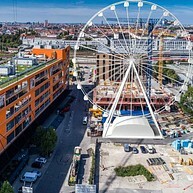 The largest transportable Ferris wheel in the world will be set up temporarily in the place where the new concert hall of the Bavarian Radio Symphony Orchestra will be built by 2021. The Alte Pinakothek is home to one of the world's most renowned collections of European paintings from the 14th to the 18th century. The displays include works by Dürer, Raffael, Leonardo, Tizian, El Greco, Rubens, Rembrandt, Boucher and others. Four museums under one roof: The Sammlung Moderne Kunst, the Neue Sammlung - The International Design Museum Munich, the Architekturmuseum der TU München and the Staatliche Graphische Sammlung München. The Brandhorst collection comprises more than 1,000 works by path-breaking artists of the 20th and 21st centuries such as Cy Twombly, Andy Warhol, Sigmar Polke, Damien Hirst and Mike Kelley. 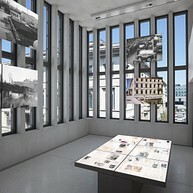 The museum also displays current video installations. 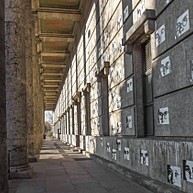 The Haus der Kunst is an internationally leading center for contemporary art featuring an interdisciplinary program. Every year the gallery presents about ten exhibitions of new talents and established artists. Since 2011 a selection of video art from the Goetz Collection has been shown in several displays in the former air raid shelter. In addition to exhibitions and evenbts, great store is set by research, study and dissemination of knowledge. The Städtische Galerie in Lenbachhaus has a unique collection about the 'Blue Rider' artist group. 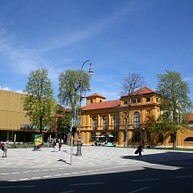 In addition to artworks from the 19th century, the museum also exhibits art from the period after 1945. Built in 1973 near the BMW tower on Petuelring, the BMW museum set new benchmarks with its timeless architecture and is now world-renowned. After extensive refurbishing, the museum reopened in June 2008, with a new design based on a novel concept. Historical vehicles and a wide range of themes, such as the company’s history, technology, motorbikes, model ranges, as well as architecture, design and media design come together to create a unique brand experience and an unprecedented exhibition ensemble. 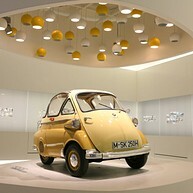 BMW recently opened the BMW World, which complements the company’s state-of-the art museum. The futuristic stadium is home to Munich’s two leading clubs, FC Bayern and TSV 1860. Apart from matchdays it has also become a must-see attraction for every visitor to the city. Take a guided Arena Tour of this extraordinary stadium for a unique glimpse behind the scenes including the players’ tunnel and the dressing rooms. At the FC Bayern Erlebniswelt, Germany’s biggest club museum, the history of one of Europe's most famous and successful clubs comes to life via a captivating blend of information and emotionally-charged stories. The impressive Baroque palace to the west of Munich was built as summer residence for the Bavarian Electors. The main building now houses a museum. In its large park there is a number of smaller buildings and pavilions and an exotic greenhouse with a café. Ludwig II, the “Fairytale” King was born in the Nymphenburg Castle his most famous castle, Neuschwanstein, is nestled in the dramatic foothills of the Alps and makes for an excellent daytrip. 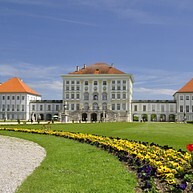 The extensive complex was the home of the Wittelsbach dynasty until 1918 and is one of Europe’s most prestigious palaces. 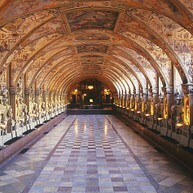 The building houses the Residenz museum and the Schatzkammer (Treasure Chamber). The perfect place for children to relive four centuries of royal culture. Don’t miss Hofgarten park on the Odeonsplatz near the Residenz. It is one of the finest Renaissance gardens north of the Alps, and a peaceful oasis commanding a splendid view of the Theatinerkirche. The world’s largest museum of technology and science on the Isar River in Munich. You can find everything here from mining techniques to astronomy, with lots of original historic artefacts such as the first diesel engine. 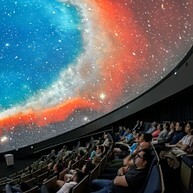 Large test workshop and tours for children. There are two annexes: one in Schleissheim to the north of Munich devoted to airplanes, and one at the Theresienhöhe exhibiting all kinds of land transportation. The latest addition to the main museum is the ZNT, Center for New Technologies featuring Nano- and Biotechnologies. A distinctive symbol of memory: The NS-Documentation Center is designed as a place of learning and remembrance. 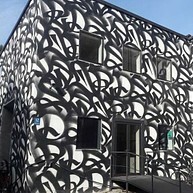 It stands at the historical location of the "Braunes Haus", the former party headquarters of the NSDAP in Munich.